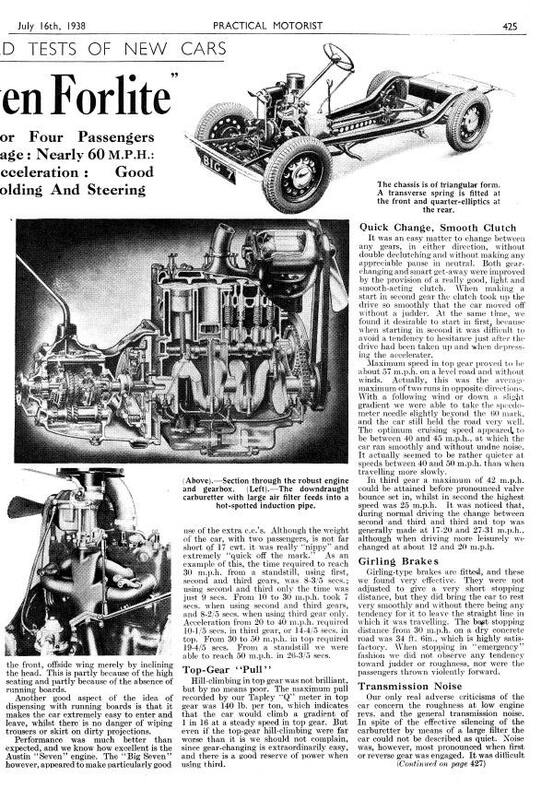 from Practical Motorist, July 16, 1937. 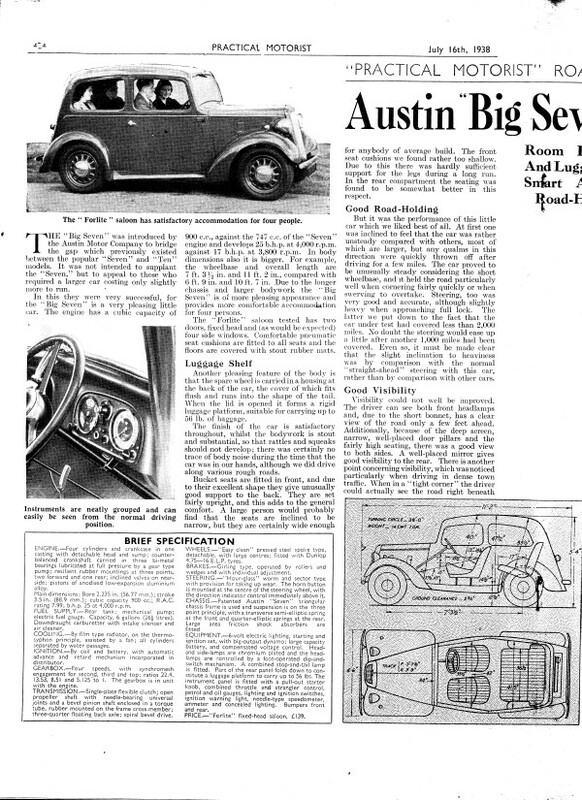 The Austin Big Seven From The Light Car, January 7, 1938. 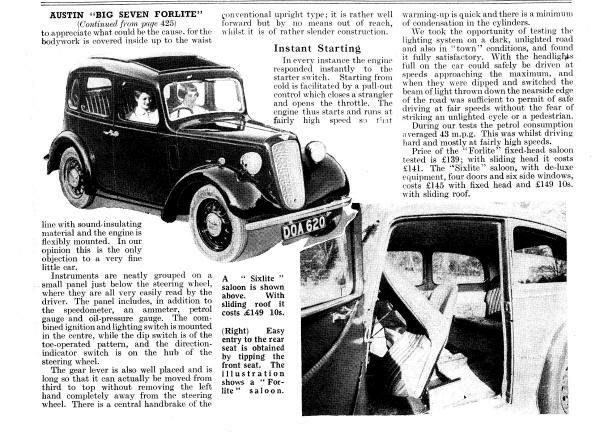 The Austin Big Seven 2door (Forlite) From The Motor, August 2, 1938.